We’ve just recently moved. Finally. We have spent the last three months looking for an apartment near the school. Unfortunately, we moved during the first week of school. It was definitely stressful, but I was able to make a new BFF. Though now, I’m regretting that friendship. This BFF was convenient. She knew that teaching all day and then packing was too much for me to make meals, so she always had meals wrapped up and ready for pick-up. She also was super knowledgeable. She understood that my girls would be bored since their toys had been packed, so she graciously packed a few small toys inside the bag for them. It was such a great source of entertainment those last few stressful nights of cleaning the old place and unpacking the new place. She just knew. It was great until I got on the scale. This BFF was that fast-food restaurant that conveniently had a drive-through. Drive-throughs are fairly rare on this island, but they were conveniently placed in our path during that transition time of the old place to the new apartment. I *gulp* fell into the “Convenient Trap” because it was so much easier than chopping, slicing, and cooking up a nutritious meal. 1. A few months before the move make larger portions of meals and freeze them. That way, they’d be easy and quick to put into a microwave to warm up. 2. Buy bread, peanut butter/nutella, fruit and veges (cut and bagged). Something quick for lunches. 3. Buy lots of paper plates, cups, and plastic utensils. Though, not the most healthy for the environment, it makes it easier for those first few days of transition. 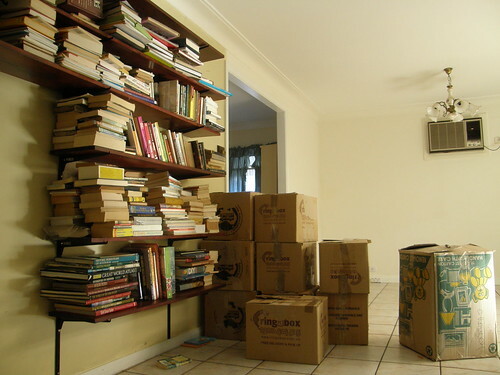 Your Turn: What is something you do when you are moving that helps with the transition? Share in the comments below.